News from Valley Spirit Arts and the Sanctuary of Tao. If you wish to no longer receive these emails, please use our Unsubscribe link. This Chinese reproduction by Valley Spirits Arts comes from an original work on the Practical Use Methods of Tai Ji Quan. This commemorative book was originally compiled by a combined assembly of Yang Family Taijiquan lineage holders who held a conference during the third month of 1953 at the Grand Hotel in Taipei, Taiwan. The book contains many photos of the event as well as 102 photographs of Yang Chengfu performing the Yang Family Taijiquan postures, eight photos of the two main sets of Taijiquan Pushing Hands, thirty-seven photos of Yang Chengfu performing Taijiquan applications, and fourteen photos of the Taiji Spear two-person set (featuring Master Chen Weiming). 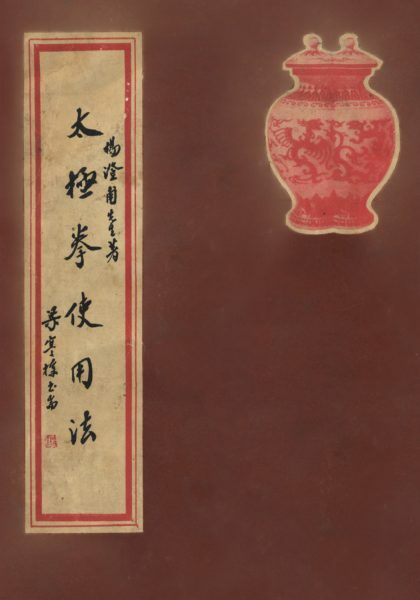 The book also contains many original Yang Family writings, lineage charts and photos of teachers and biographies of Yang Family members and disciples (Chinese text only). This collector’s edition is a companion work to the short film (narrated in English) that Master T.T. Liang produced at the conference, also available from Valley Spirit Arts in the DVD Master T.T. Liang Taijiquan Demonstrations. The rare historical footage in the DVD includes demonstrations of Prof. Cheng Man-Ch’ing’s 37-Posture T’ai Chi Ch’uan Solo Form, Master T.T. Liang’s 178-Posture Two-Person (San Shou) T’ai Chi Ch’uan Set, T’ai Chi Double-Edged Sword Form, and the San-Cai (Three Powers) Sword Fencing Set. 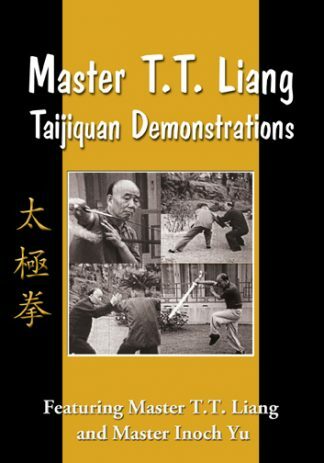 The Tai Ji Quan Shi Yong Fa: Practical Use Methods of Taijiquan book and Master T.T. 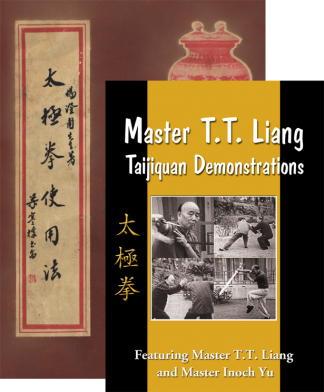 Liang Taijiquan Demonstrations DVD are true historical treasures on the art of Taijiquan. Purchase the Yang Family Lineage Holders Book and DVD Set at the discounted price of $69.95 ($79.90 when sold separately). Copyright © 2018 Sanctuary of Tao / Valley Spirit Arts, All rights reserved.